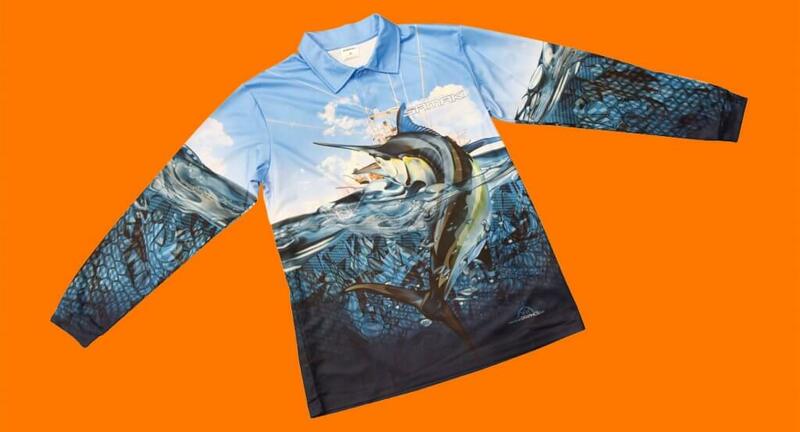 Getting plenty of looks, feels and votes at the AFTA show this year was the Black Marlin Sublimation shirt from Samaki. Samaki have a history of providing anglers with good quality, reasonably priced and sun protective fishing apparel, and this fantastic design will fit in nicely with the rest of the range. Just like the rest of the range, the eye-popping images on the material will let other anglers know you mean business. As usual, Samaki have used their UPF 50+ Fish Dry fabric, which is a lightweight 100% polyester material, and will keep you incredibly cool, will dry quickly, yet still breathes. All of Samaki’s fishing shirts are available in adult, youth and kid sizes, allowing the whole family to get in on the action and out on the water, and still say sun safe.